One step up from the four-patch is nine-patch. This week’s block therefore is Double Nine-Patch. 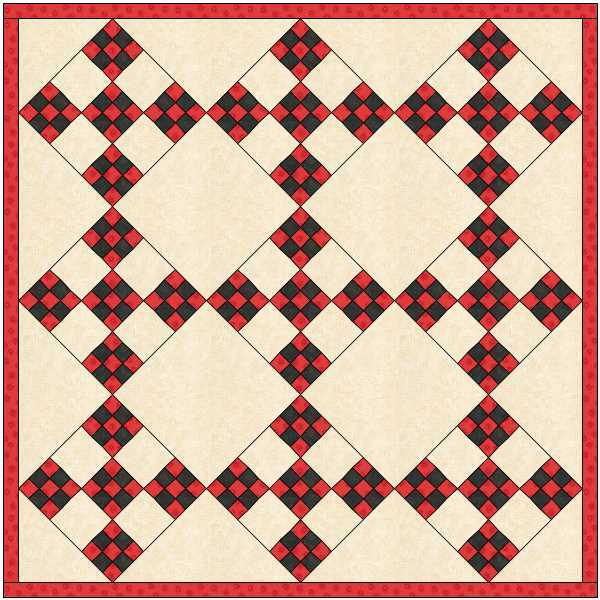 You can download the instructions to make this block here and, of course, visit the website if you need a refresher in making the 9-patch units. 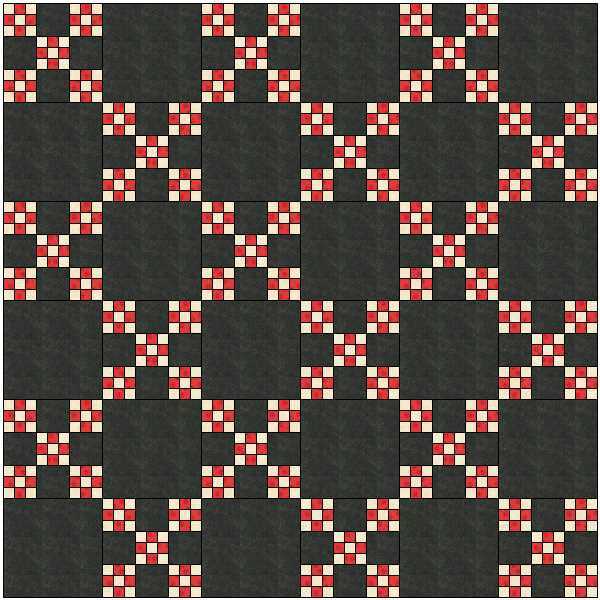 As ever, courtesy of Electric Quilt, here’s a few ideas for quilts with this block. First a straightforward 4 x 4 straight set. 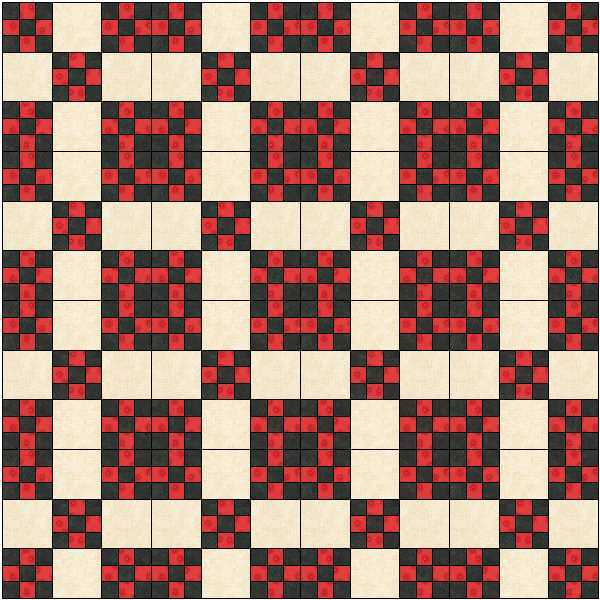 And of course you can make the other block – twin to this colouring – with 4 squares of black and 5 of red. 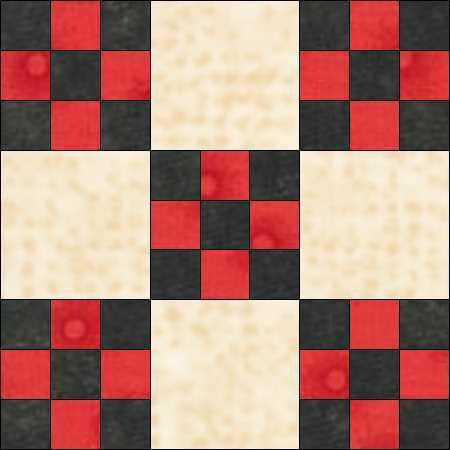 Alternating these on point with their twin and alternate plain squares works well. 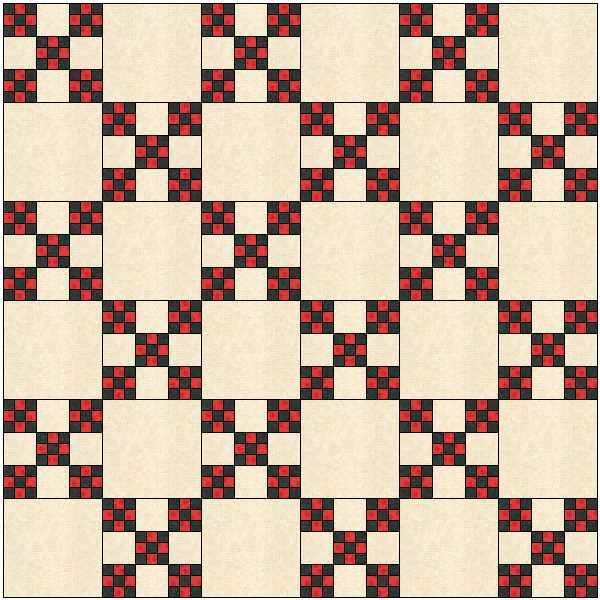 This entry was posted in beginners patchwork, free pattern, machine piecing, rotary cutting on August 25, 2014 by Chris.